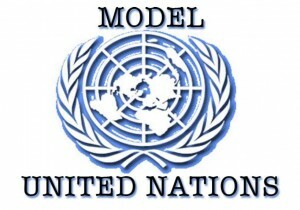 Welcome to the homepage of the Arkansas Collegiate Model United Nations (ACMUN)! The ACMUN was established by Dr. Chris Housenick at Arkansas Tech University in 2011. Annual ACMUN conferences were held at ATU in Russellville from 2011 to 2016. The University of Central Arkansas hosted ACMUN conferences in Conway in 2017 and 2018. Participating colleges and universities in recent years have included Arkansas State University (Beebe, Arkansas), Arkansas State University (Jonesboro, Arkansas), Arkansas Tech University (Russellville, Arkansas), Harding University (Searcy, Arkansas), Hendrix College (Conway, Arkansas), Lyon College (Batesville, Arkansas), Northeastern State University (Tahlequah, Oklahoma), Northwest Arkansas Community College (Bentonville, Arkansas), University of Arkansas (Fayetteville, Arkansas), University of Arkansas (Monticello, Arkansas), and University of Central Arkansas (Conway, Arkansas). The 9th annual ACMUN conference will be held at the University of Central Arkansas in Conway, Arkansas on Friday, November 1, 2019. The conference will include simulations of the UN Security Council, Human Rights Council (HRC), Economic & Social Council (ECOSOC), and World Health Organization (WHO). For more information, please Dr. Mark Mullenbach, ACMUN Coordinator, at markm@uca.edu. * Awards will be presented to outstanding delegations in each of the committees, as well as Best Overall Delegations. Position papers are encouraged, but not required. There are no awards for position papers.